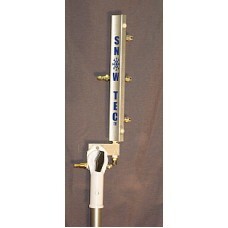 Snow-Tec's mid-size ST3 snow gun. 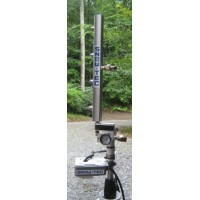 Designed for medium sized compressors and electric or gas pressure washers up to 3gpm. 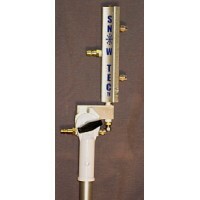 All Snow-Tec snow guns are "custom built external mix". This means NO ADJUSTMENTS, set-up is quick & simple! Snow-Tec snow gun bodies are solid 6061 aluminum along with our custom CNC machined 6061 aluminum "nuk" manifold. 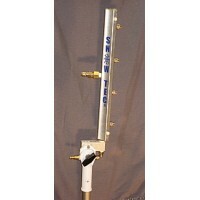 A proven 10yr old design for precise air & water nucleation..
All ST series snow guns come with a 1/4" male air line kwik connect fitting. Your choice of high pressure hose fittings; 22mm, 1/4" or 3/8" male kwik connect. NEW for 2012/13!! A 0-200psi Air Gauge added to our nuk bodies for accurate "At The Gun" air psi readings! Solid brass fittings,Stainless steel nozzles and stainless steel hardware are the other main components. Our custom aluminum pole mount allows for infinite tilt & swivel of the gun and will mount to any 1"od or 25.4mm diameter pole. Set-up instructions, Snow making tips, Air line kwik connect insulator and wet-bulb chart to check for accurate snow making conditions! 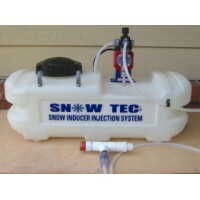 All this makes Snow-Tec snow guns the highest quality "Custom Built" residential snow guns on the market! AIR COMPRESSOR: 5.4cfm @ 90 psi. *Please submit your compressor, pressure washer and hose fittings specs in the box's provided above the "add to cart" button when ordering. 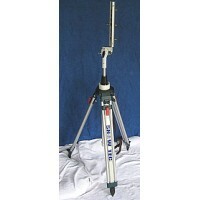 Aluminum Snow Gun Stand: NEW LOWER PRICE! 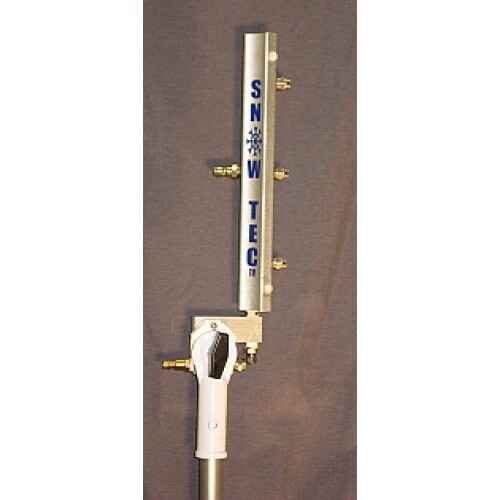 ST3 Snow Gun Package: NEW LOWER PRICE!